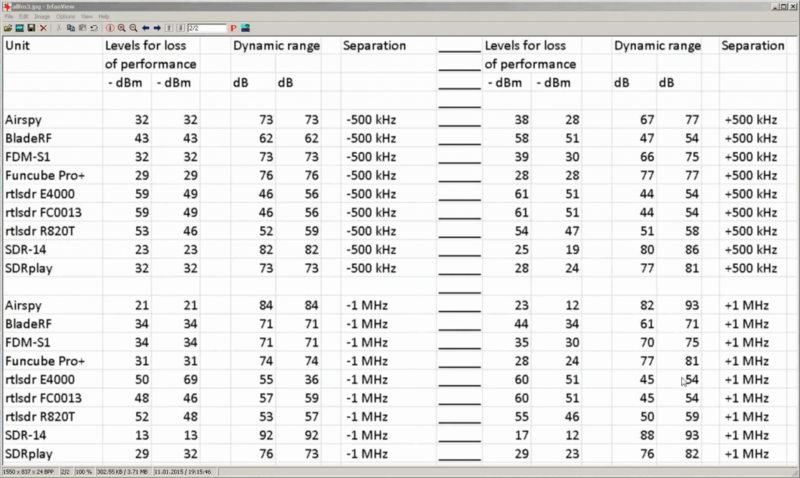 The SDRplay RSP actually achieves closer to 70dB dynamic range with an adjacent interferer on the FM band. 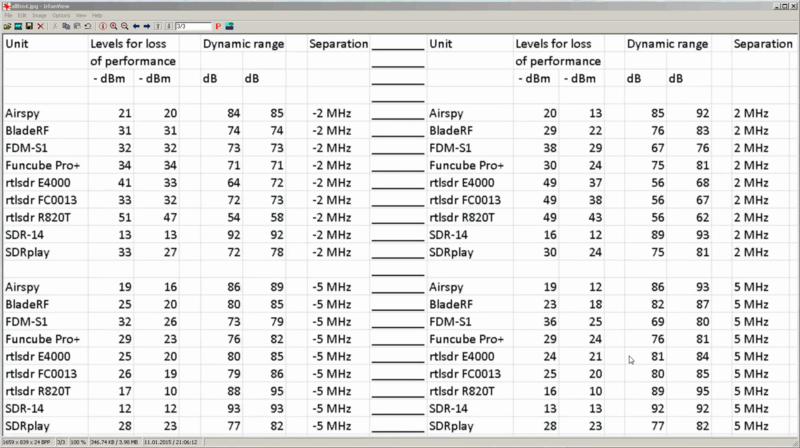 See https://youtu.be/lOS0oU6FlGc – this is because the SDRplay RSP has programmable high dynamic range continuous time active filters which can be adjusted to sit at low as 200 KHz or as wide as 8 MHz bandwidth. These were not fully utilised in the comparison video. January 13, 2015 - 6:13 pm Rob T.
I think he’s doing some interesting work here, but his videos are pretty are probably only readily understood by a very small minority. On the other hand, I think there is some opportunity here to really build on this material to really teach and show radio theory.